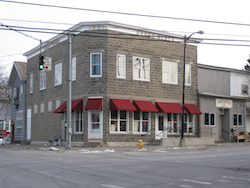 ADAMS FOOD $EN$E is a program of the Food Bank of Central New York and the Rohde Center. 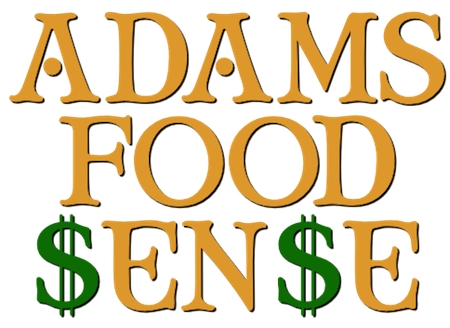 ADAMS FOOD $EN$E offers everyone the opportunity to stretch their food budget dollars by purchasing delicious food at a discount. Everyone is eligible to purchase food from ADAMS FOOD $EN$E, including senior citizens, college students, singles, disabled, shut-ins, and working and military families. There are NO income requirements! If you eat, you qualify! FOOD $EN$E is a food co-op for everyone. Check here at adamsfoodsense.com or at the Rohde Center for the coming month's food package. Order Online below or Pre-Pay $20.50 in cash, money order or EBT for each Basic Unit plus any specials you may want. No refund or credit on food not picked up. On delivery day, pick up your ADAMS FOOD $EN$E order at the Rohde Center between 3:00 and 4:00 PM. Once you add an item to the cart, click on the “X” in upper left corner to close the cart and continue shopping. There will be a $1.00 handling charge per order added to your shopping cart at check out when ordering online. - Italian Meatballs, 1 lb. - Pollock Fillets, 1 lb. - Italian Sausage, 1 lb. - Veal Patties, 12 oz. - Shredded Mozzarella, 8 oz. - Cheese Ravioli, 13 oz. - Spaghetti Sauce, 24 oz. - Frozen Mixed Vegetables, 1 lb. - Mixed Fruit, 15 oz. Breaded Shrimp: 3 lbs. for $12.75 - The breaded shrimp contain 16-20 shrimp per pound. American Cheese: 5 lbs. for $10.75 - The sliced American cheese is not individually wrapped. Meatloaf: 2 lbs. for $6.00 - The meatloaf is a traditional meatloaf made with 100% ground beef. spaghetti rings (15 oz. ), tuna fish (5 oz. ), crushed tomatoes (28 oz. ), and pineapple (20 oz.). Popcorn Chicken: 10 lbs. for $11.75 - The popcorn chicken is breaded and fully-cooked. 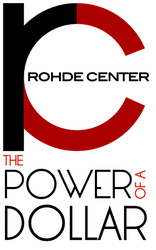 For more information and great recipes for this month’s food, check out the CNY Food Bank Monthly newsletter here. More than one Basic Unit can be purchased. In addition to the Basic Unit, special items are available for purchase also. Food pick up is at the Rohde Center. Please bring a box, bag or basket for the Basic Units. Special items come prepackaged. There will be a $1.00 handling charge per order added to your shopping cart when ordering online.